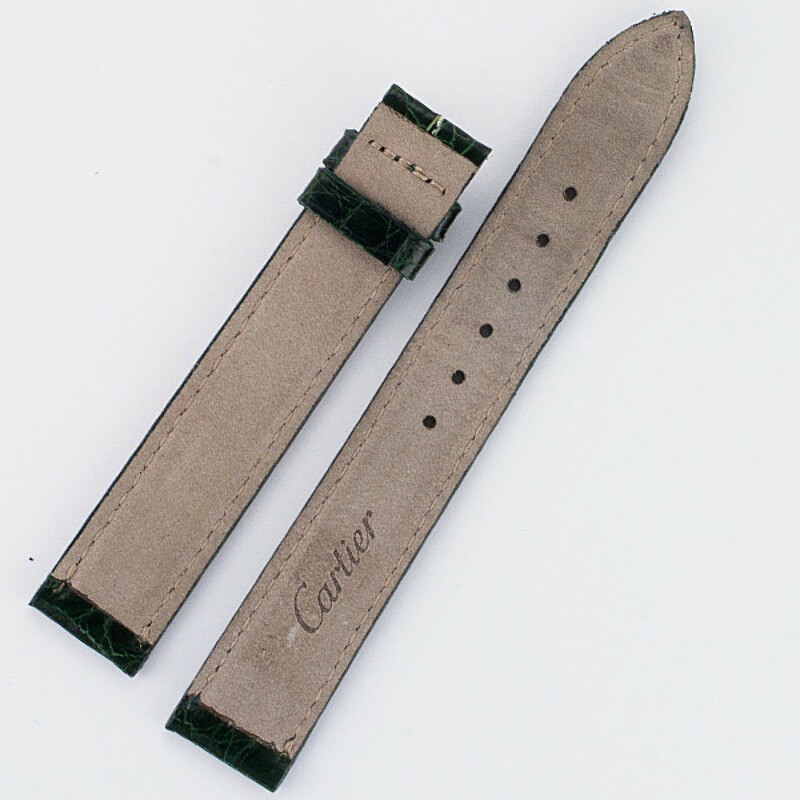 Cartier dark green alligator strap. 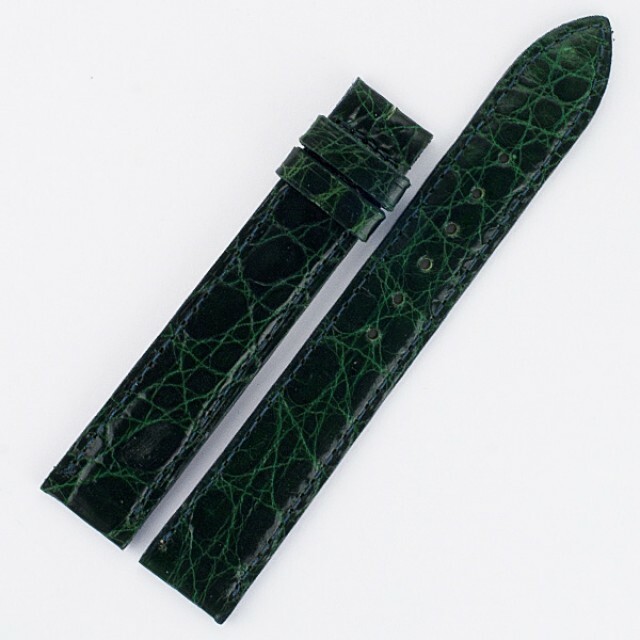 Length of 4 1/8" long piece and 3" short piece. 15mm at lug end and 13mm at buckle end.